May 12th is World Collage Day. Because of this, the topic this month is collage. Webster's New World dictionary defines collage as "An art form in which, variously small objects, bits of newspaper, cloth, pressed flowers are pasted together in incongruous relationship for their symbolic or suggestive effect." Many art snobs do not consider collage to be a valid art form, but many first-rate artists have used collage in their work or do it as their only art form. That being said, the following are considered the Top Ten Collage Artists. Some you have heard of and some you have not so I suggest you Google their names: Hannah Hoch, Kurt Schwitters, Raoul Hausmann, Man Ray, Ellen Adar, Joseph Cornell, Nancy Spero, John Stezaker, Jesse Treece, and Annegret Soltan. There are some greats not mentioned here and they are Romare Bearden (which a dear friend introduced me to) and Jonathan Talbot. Mr. Talbot has a wonderful method for collage and you can visit his website: www.jonathantalbot.com for more information. It is the form I use most often. Also, there are varieties of collage which include Two & Three Dimensional, Picture Pile, Mosaic, Contemporary, Abstract, Decoupage, Paper Collage and Grid. Grid is probably the least artistic of the collage types. In my own work I have explored many forms and present a few here. One of the great advantages of collage is the fact that it is one of the least expensive art forms. Give it a try! 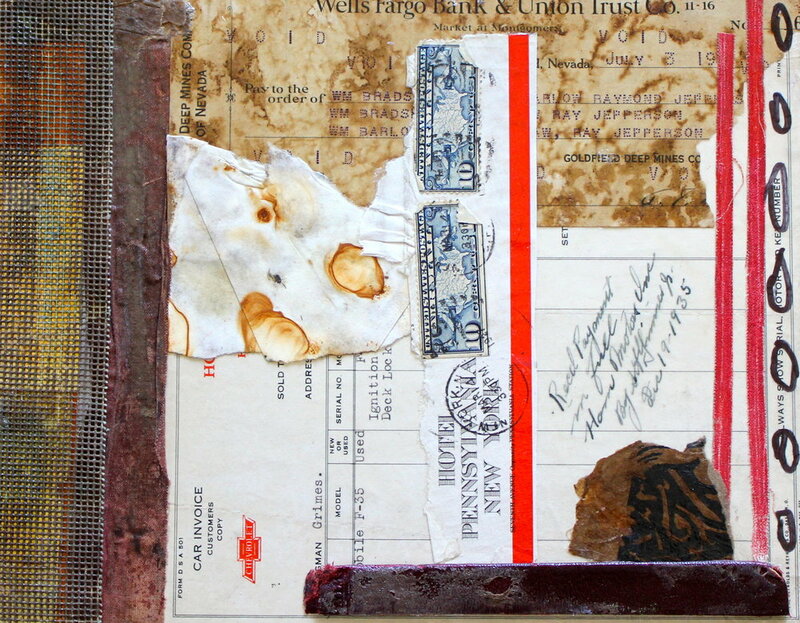 - Google La Wilson (recently passed) to view images of her assemblages that will 'wow' you. - Jim Carrey has entered the world of art politically. It would be well worth your time to Google his images. - The Albuquerque Museum of Art" continues "The Art of Politics" through August 12th, Albuquerque, New Mexico. - Denver Art Museum presents "Jeffrey Gibson: Like a Hammer" from May 13th - August 12th, Denver, Colorado. - The Denver Art Museum also continues "Degas: A Passion for Perfection" through May 20th. - "Giving Voice to Image continues at Vivo Contemporary, Santa Fe through May 15th. 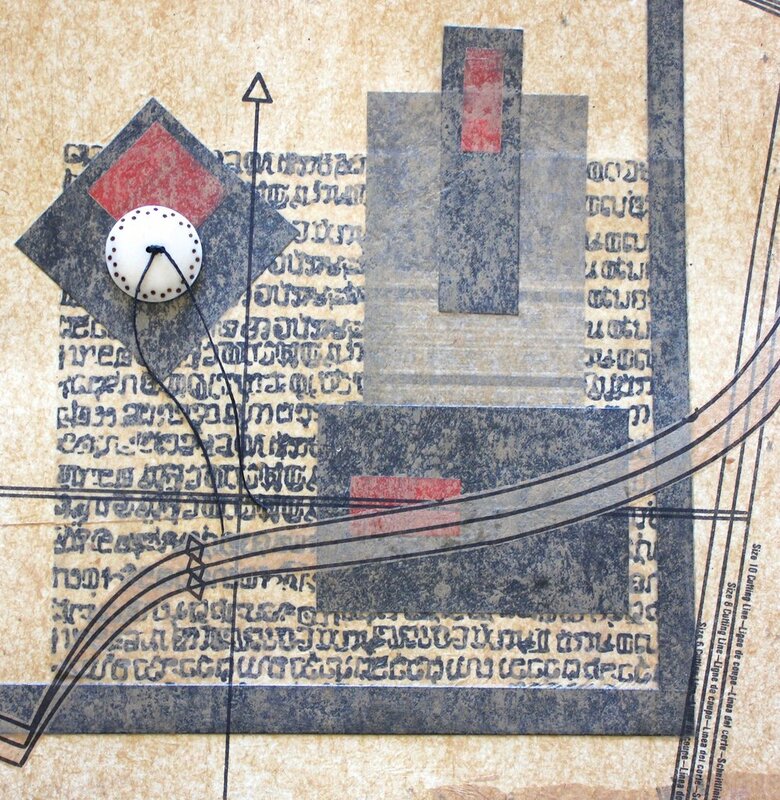 - Robbie Steinbach's "Geometry of Spirit" continues at the Taos Inn, Taos, New Mexico through May 13th. - The Harwood Museum, Taos, New Mexico continues "Work by Women" through May 13th. - "Vedem: The Underground Magazine of the Terezin Ghetto" continues at the Oregon Jewish Museum, Portland, Oregon through May 27th. - "David Hockney: The Yosemite Suite" continues at the Pace Gallery, New York City through June 17th. - "No Spectators: The Art of Burning Man" runs through January 21, 2019 at the Smithsonian American Art Museum, Washington, D.C.
- "Renoir: Father and Son/Paintings and Cinema" can be viewed at the Barnes Foundation, Philadelphia, Pennsylvania through September 3rd. - "Rene Margritte: The Fifth Season" will be on view at San Francisco's Museum of Modern Art" from May 19th - October 28th. - "Star Wars and the Power of Costume" will be on view at the Detroit Institute of Art, Detroit, Michigan from May 20th through September 30th. - "Monet and Architecture" is on view at the National Gallery, London, England through July 29th. - Atelier des Lumieres, Paris France is currently offering a 30 minute immersion into the art of Gustave Klimt. - "Klee in Wartime" is on exhibit at Zentrum Paul Klee, Bern, Switzerland through June 3rd. In closing, pull out those old photos, scraps of paper & cloth, etc. that have caught your eye and experience the world of collage.